When Ismail took over team leadership, the team blossomed. He scored 9.4 ppg, handed off 6.7 apg and 2.2 steals per game. Add to that, his grade point average will exceed 3.0 and he was named to the first team Western State South Conference, first team San Bernardino Valley Tournament team and most inspirational player at the Antelope Valley tournament. Was it any surprise that D-1 universities lined up to offer a full ride to Ali after his all-star season? He was being recruited by six D-1 universities with two firm scholarship offers. Ismail said it was not any easy decision but he decided to keep recruiting open for his services for another year. Ismail said a number of things weighed strongly on his decision to stay at Antelope Valley College another year. 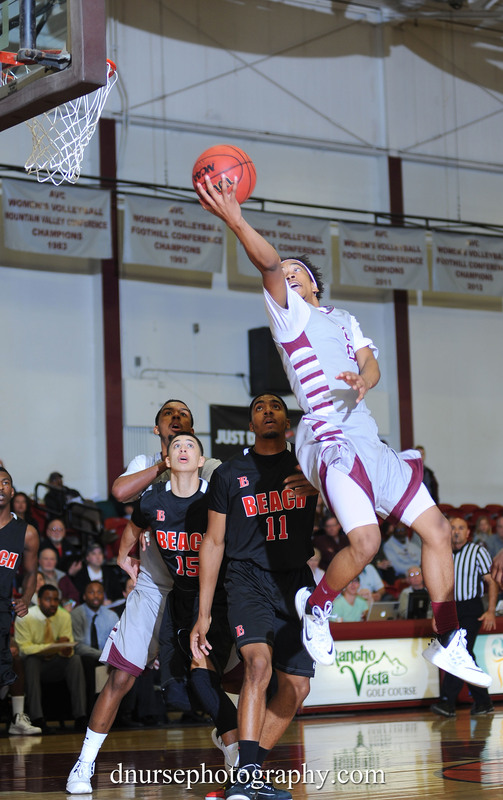 First and foremost, he fits very well in the AVC program/coaching staff and its D-1 style of play. Ismail states he has unfinished business to attend to, i.e., a state championship. With 9 of the 12 players returning, an exciting group of red shirts and a number of outstanding new players on the horizon, Ali believes he will have the tools to bring that coveted State Tournament banner to AVC. Thirdly, AVC gives Ismail an environment where he can work to improve his game even more so he can step into an elite university program. The summer shootouts showed that Ali has added shut-down defense to his repertoire this year. Next year he will playing at the D-1 level. February 23 2015 The best JUCO point guard in California was named to the All-First Team of the Western State-South Conference.